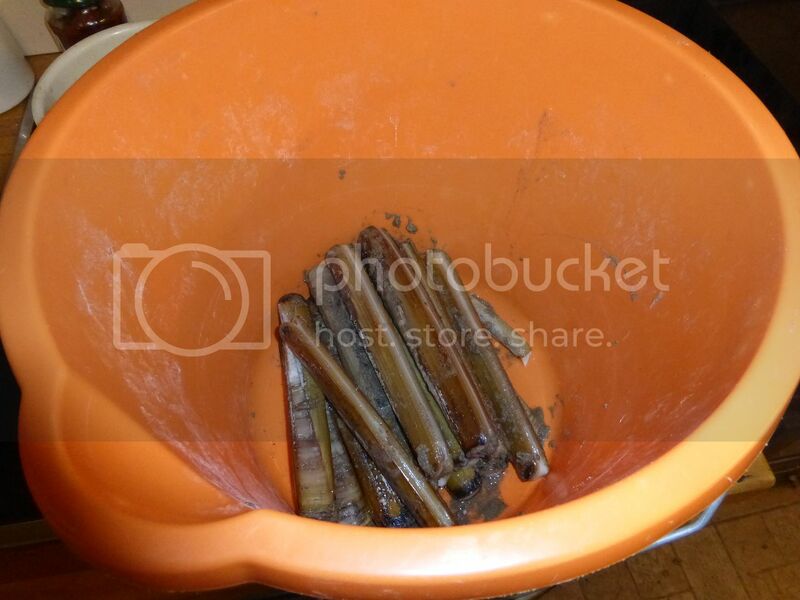 Posted: Tue Sep 29, 15 4:35 pm Post subject: Razor clams? 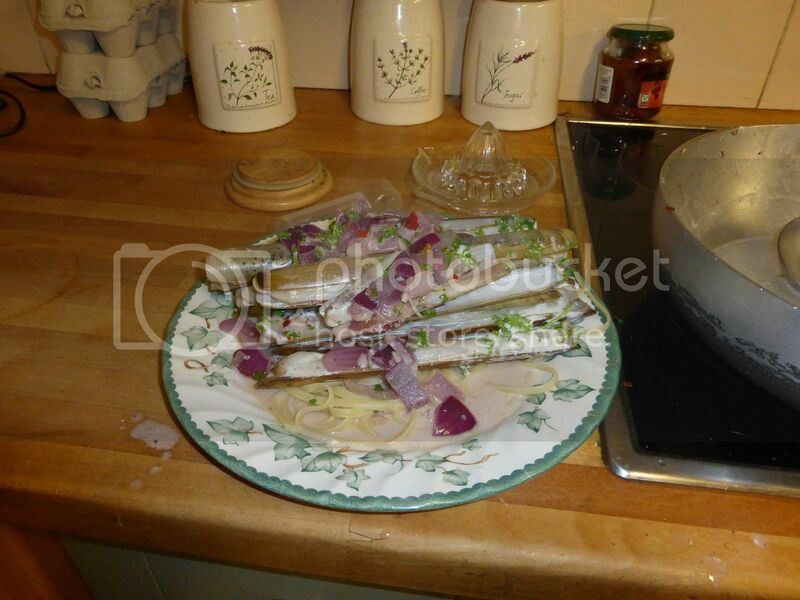 I've just got back in from having picked some lovely razor clams from the beach. Now I've had them loads of times but have always eaten them within an hour or so from getting home. I want to do these for dinner tomorrow, what's the best way to store them until then? Under a damp cloth somewhere cold but not freezing. Fridge if it's not too cold. I think fishermen use damp newspaper & in the fridge. I'm going to give this one a go. what they said re storage. I'm going tomorrow - Never caught one yet - but what the hell ! I only went for a walk with the dog on the beach yesterday and went unprepared. The razors were squirting water up in spouts all over the place and I manage to grab about a dozen with their ends sticking out of the sand. Some of the ones that I got were well over a foot long and pretty hefty with it too. There's another very low tide today at around tea time and this time, I will be prepared. I'll be taking some salt along with me to stick down the tell tale key hole shaped holes in the sand that the creatures leave. I'm sure the foragers amongst us will know this but for those who don't, this has the effect of fooling the creatures that the tide has come in and up they come to the surface. I wont be going OTT with my catch, the supply isn't infinite and I'll take just enough for another meal and probably a few extra to freeze for fishing bait this winter. Sounds good, and that recipe looks good too. All I have ever seen coming from our local beaches are lug worms. Now I am fairly reasonable about that sort of thing, but when some of the men brought lug worms into work as they were going fishing, and parked them near my desk, I wasn't exactly happy. They are rather ugly brutes. I went and got a few more last night. and turned them into this. They tasted OK but it wasn't anything that I'd really write home about. Hey! At least I survived and I'm still here! try fast cooking them in cider and herbs. a bit liks squid /octopus etc i recon very fast or very slow cooking works best.